People should be incentivised to move to other areas of the country to reduce housing pressure in urban centres and increase housing affordability. This can be achieved through better infrastructure and employment opportunities that will encourage people to view regional areas as viable alternatives to major cities such as Sydney and Melbourne. 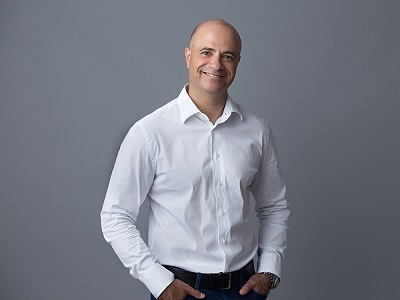 Doron Peleg, CEO of RiskWise Property Research observes that Australia’s population has just hit the 25 million mark with the bulk of the population concentrated in the major cities. This has increased demand for housing to such an extent that it impacts housing affordability. He believes that developing the middle rings of these cities with family suitable accommodation close to transport hubs and schools is only a short to medium-term response that will eventually stop working when demand once again overtakes supply. According to Mr Peleg, strong population growth has been forecast for Sydney and Melbourne, which must be taken into consideration. Demographer Bernard Salt projects the population of Melbourne to pass five million by 2021 and eight million by 2050, potentially eclipsing Sydney as Australia’s most populated capital by 2030. Popular sentiment in Sydney favours restricting migrant numbers and reducing development efforts designed to accommodate the increasing population. However, Peleg says the solution to over population in cities, and therefore housing affordability, is to encourage people to move to other areas of the country. To incentivise them, the federal government must have a national plan and work jointly with the government in other states and territories, including Perth, Queensland, Adelaide and Darwin, to invest in infrastructure and employment and encourage businesses to set up shop through a variety of incentives. Queensland’s $15 billion infrastructure boom in the southeast, the Advance Queensland Business Development Fund’s focus on the growth of innovative businesses and emerging industries, and the NSW Government’s 20-year vision to promote regional development and job creation are some of the initiatives that other regions in Australia need to emulate to draw the population away from the major centres. Cutting migration is not a solution, says Peleg who asks policy makers to consider “taking Australia forward by creating incentives for people to leave the major capital cities and in particular to invest in Western Australia, Central and North Queensland, South Australia and the Northern Territory”.